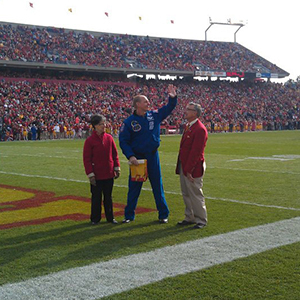 Why is Aerospace Engineering at ISU the program for you? US News and World Report 2020 ranks the ISU College of Engineering 41st overall among 205 graduate engineering schools and 22nd among 132 public universities. The aerospace engineering program is ranked 27th overall, and 19th among all public universities. The National Research Council (NRC) 2010 ranks doctoral programs by 21 different criteria. ISU’s aerospace engineering program achieved a 21st-24th place ranking in multiple categories including research (derived from faculty quality), students (derived from student quality), and S-rank (criteria identified as most important by scholars). 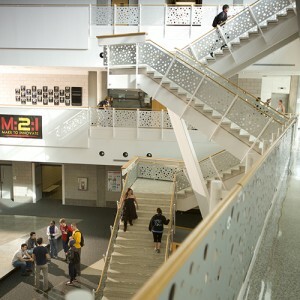 Iowa State University has one of the top-rated aerospace engineering programs among its peer schools in Iowa and its neighboring states. Asteroid deflection, tornado simulation, biofuel combustion, morphing structures, aircraft icing, rotocraft brownout, non-destructive evaluation, complex system design… Our faculty are taking aerospace engineering to its limits, and redefining those limits! Our graduates work closely with our faculty on cutting-edge research projects funded by industry and government agencies. 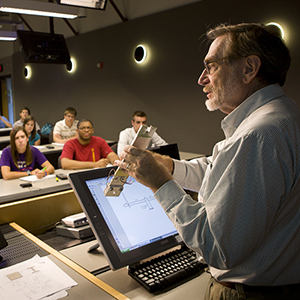 Our faculty have earned many awards in recent years, including; 3 AIAA Fellows, 1 Presidential Faculty Fellow award, 1 Honorary Distinguished Professor, 3 Endowed Chairs, 3 Professorships, 1 Faculty Fellow, and 1 Distinguished Faculty Fellow. 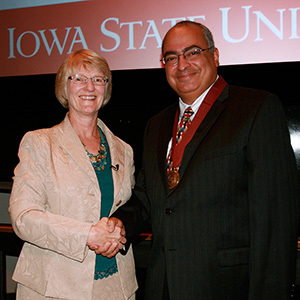 Read more about recent faculty awards and achievements. 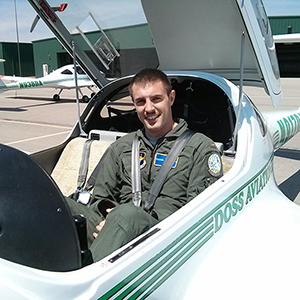 Graduates from our program are among the most sought after in the aerospace engineering industry. Aviation Week and Space Technology has named ISU as a top source of graduates hired by aerospace and defense companies. Our graduates not only find great jobs, but have also gone on to senior management positions in key companies and agencies. Distinguished Alumni (Below are just a few of our exemplary graduates): Clayton Anderson, Astronaut, NASA (Now ISU Aerospace Engineering faculty member); Vance Coffman, Former Chairman and CEO, Lockheed Martin; Neil Kacena, Vice President – Technology, Innovation and Strategic Pursuits, Raytheon SAS; Dennis Muilenburg, President, Chairman and CEO, The Boeing Company; Kim Pastega, Vice President – Supply Chain Delivery and Performance, The Boeing Company; Ethiraj Venkatapathy,Chief Technologist, Entry Systems and Technology Division, NASA Ames Research Center. Research in the Department of Aerospace Engineering is focused in six areas, many of which are interdisciplinary, bringing together the traditional engineering disciplines in creative and exciting ways. 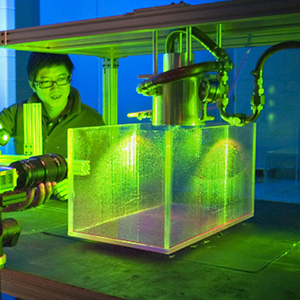 These areas are: Advanced Materials Systems Aerodynamics and Aero-Structural Interaction Aviation Biofuels Complex Systems and Optimization Guidance, Controls, and Astrodynamics Non-destructive Testing and Evaluation Research expenditures exceed $3.5 million for tenure-track faculty and $10 million including the collaborative funding of our centers. Read More.